Well, it would seem it is that time of year again. Awards season, as you can't have failed to notice, is back. But for those of us with fashion in our hearts and minds, this can only mean one question: who will win the costume awards? Every year I do a rundown of the films in contension and make my pick as to who should win. 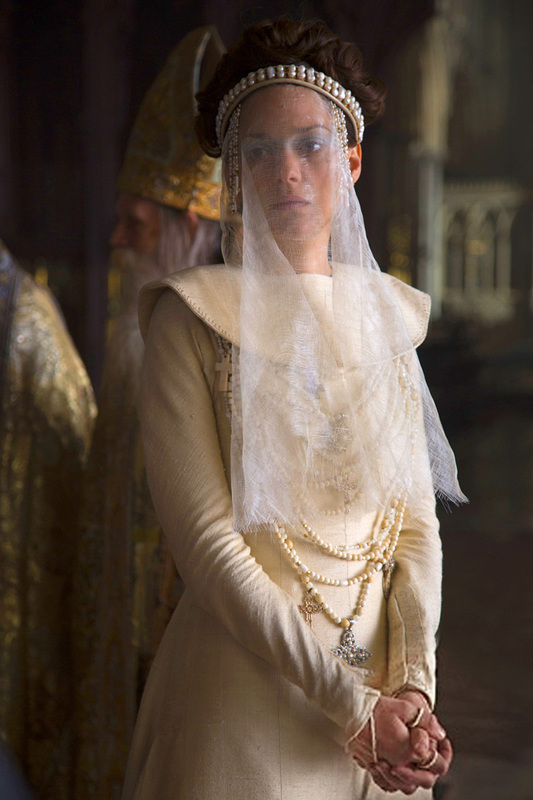 First though, I'd like to lament that my favourite costume designer, the esteemed Jacqueline Durran, appears to have been overlooked - even by the BAFTAs - for her work on Macbeth. It may not have been quite as stunning as her Oscar-winning Anna Karenina designs, but Marion Cotillard's gowns were exemplary. In fact, before I turn to the Academy Awards nominations, it's always worth quickly looking at who has not been nominated by comparing with the BAFTAs. This year the two pretty much correspond, except that the BAFTAs have eschewed The Revenant in favour of Brooklyn. I have to admit I think that's a better choice: the ice-cream colours and 'New Look' shapes of Brooklyn are enough to recommend it alone, and there's a really good article about the costumes on Fashionista if you're interested. But let's now turn to the Oscars and see what they have in store. Industry legend Sandy Powell is on track for a fourth Oscar with either this or Cinderella (which we'll discuss in a minute). She's previously won for Shakespeare in Love, The Aviator, and The Young Victoria, so is clearly adept when it comes to period pieces. Inspired by old fashion magazines, these costumes are a delight to behold, and transform Cate Blanchett and Rooney Mara into full colour versions of a vintage Vogue cover. The tailoring is what really accentuates the mood of the era; Cate Blanchett's costumes are so perfectly fitted that they show elegance and refinement but also suggest at the hidden desires beneath through their close cut. For me though, it is the loungewear which demonstrates the range of this designer. Without relying on the standard shapes each character wears in their day-clothes, we can see here how loose-fitting dressing-gowns and sleeping sets ccan still be very different. Carol's delicate pink silk is incredibly sensuous, but the masculine cut of the dressing gown (who has a dressing gown with shoulder pads?) adds that sense of restraint again. Therese's ensemble is plain, and perhaps a little bit childish, representing the boring life she wishes to grow out of. That's some first-class costume subtext right there. It says a lot that when I was looking for a suitable image for this, a picture of the Lion from The Wizard of Oz came up. On first impression, this film has only one costume in it: some brown winter clothes, worn by everyone Of course, the production wasn't quite that simple, as Jacqueline West, the costume designer, found out. In attempts to be as true as possible to what fur-traders would have worn, she acquired a real bear and created fake bear fat. It goes to show that the production behind these costumes is what is really valued in a technical category. I can't say, however, that this is my favourite to win. West hasn't yet won an Oscar, though she was nominated for The Curious Case of Benjamin Button, and a BAFTA for Quills. I think she needs to combine the intensive processing behind The Revenant with the beauty of Quills, and she'll be a sure win. Here's Sandy Powell again! I haven't seen this film yet but I have some friends who have told me just how enchanting the costumes are. I've discussed in one of these posts before how there are difficulties for designers tackling a live action film with its roots in an inconic animation. Powell's reinterpretation of the Cinderella dress is a good answer to that question. She ditches the gloves (in contrast with the stepsisters), but keeps the sparkle, and infuses all the costumes with a combination of Victorian grandeur and surreal chocolate-box caricature. Cate Blanchett is here again, in carefully draped bodices that would happily sit in any Westwood range. It's a riot compared to the muted tones of Carol, and a lot of it puts me in mind of how a child would imagine a fairy-tale world: in bright colours, with details magpied from different periods, and a cartoonish elegance to it all. Put simply: it's magical. I love a good sci-fi/apocalyptic costume. Ordinarily we see several period dramas in the running for costume design, but it can be even more interesting to see how artists imagine what clothing will look like in the future. Alas, the answer in Mad Max is: not that exciting. Still, there are echoes of what the American military currently wears here, which I think is quite interesting. Costume designer Jenny Beavan has had an impressive career, including Anna and the King, Sherlock Holmes, and The King's Speech. She hasn't won an Oscar since 1987's A Room With A View, but I'm not sure if this film is the best example of what she can do. The problem is it's part of a franchise, and therefore just a slightly new incarnation of a previous vision. Paco Delgado is the only male costume designer in this year's nominations, and he had an important job in dressing Eddie Redmayne to represent Lilli's transition without verging into caricatures of the feminine stereotype. There's an interview in Harper's Bazaar with him where he discusses some of the issues they faced, such as working around Redmayne's Adam's apple, which adds a whole new level of consideration. I think he's done extremely well, and I have to say that although the two Sandy Powell films in this list are hotly tipped to win, this would be my personal choice. The use of 1920s fashion is superb, and the fact that both Eddie Redmayne's and Alicia Vikander's characters are artists opens up some interesting Bohemian avenues. It rather reminds me of the way the Bloomsbury group was represented in the BBC's recent series Life in Squares. The loose shapes and drop waists are an elegant contrast to the tailored suits Redmayne wears earlier in the film, a choice which Delgado consciously made to emphasise the idea that the masculine felt like a prison to Lilli. Vikander's ensembles also provide both a mirror and a contrast in their scenes together. The clothes aid the progression of the story, as well as being visually sumptuous. 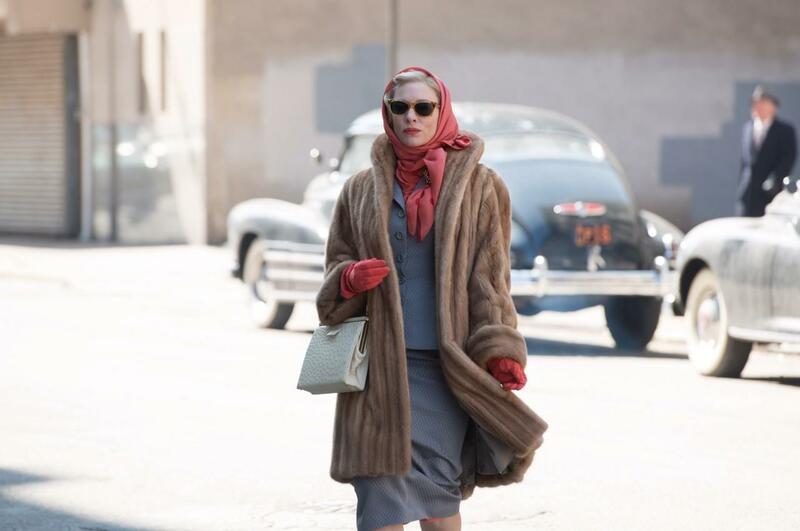 Definitely loved the costume design in Carol. I'd even wear some of the things they were wearing myself! Thanks for the blog, Visit tailor made shirts australia if you want to buy a shirt of best quality at a fair price.